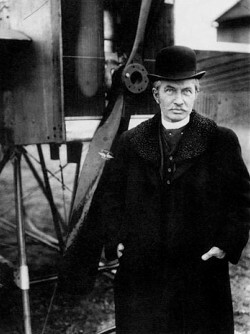 The French aeronautical engineer René Arnoux wass a pioneer in the development of the tailless airplane. Arnoux's work is very significant in that he is the real originator of the "flying plank" class of tailless airplane. All his planes used a plain straight rectangular (or slightly tapered) wing, without any sweep-back, dihedral, stagger, or stabilizing wing tips.